The House, completely in parquet and is furnished with care, even in details paying close attention to the cleanliness of the premises. Consisting one bedroom with double bed and one bedroom with two single beds, marble bathroom, dining room with a double sofa bed. Large fully equipped kitchen with washing machine, oven, dishwasher, microwave, refrigerator freezer, electric kettle, toaster cooking utensils and everything they need to cook. Our guests will be provided with bath towels and bed linen and will have at their disposal Free WiFi, Smart TV with free access to Netflix and Social Networks, A / C.
We had a wonderful stay at the apartment. The unit was very clean and well appointed with anything that we would need during our stay. There was even a few breakfast items in the kitchen that we could eat. Since we got in late, our host gave us some great suggestions of places to eat some pizza and get our first taste of gelato. We would definitely recommend staying here again. thank you so much for your review, it was a pleasure hosting you. We hope to see you again in Rome!! The attention to detail was exceptional as nothing was left to chance In the apartment. Paola is an unbelievable host who has the knack of knowing what a traveller requires and the apartment has every thing you or a family will need. The location is close to the termini and only a 20 or so minute walk to Trevi and Spanish Steps. Supermarkets, cafes and bakeries are a stones throw away. Thank you so much for your review, we were pleased to welcome you to our Apartment. You have been excellent Guests, a beautiful Family and we thank you for the care with which you left the house. We hope to see you soon in our Rome. Unfortunately, our stay was limited to one night, but it was one of the best nights in Rome! This apartment is modern, clean, and quiet! Tucked away in quaint neihborhood, great pizza across the street! And Paola thought of everything, even a bottle of perfume! 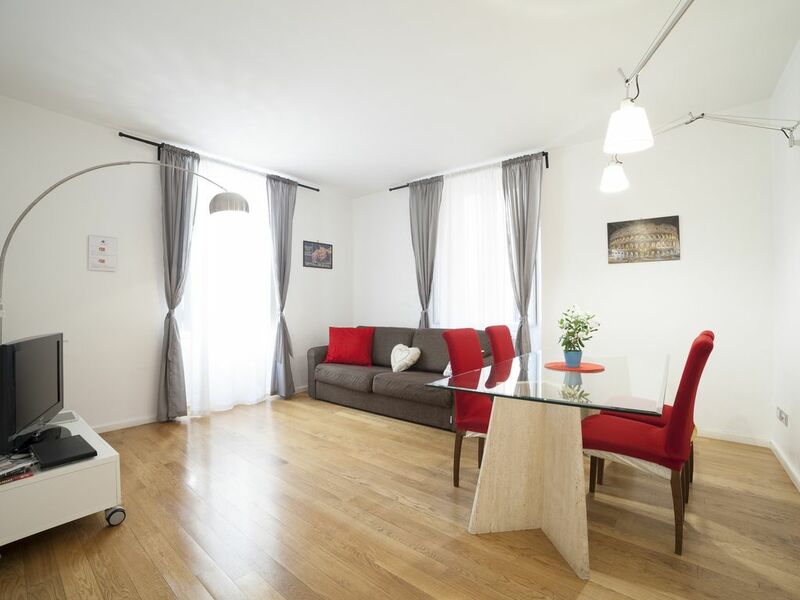 This apartment has everything you could need while visiting Rome! Hope to come here again and stay longer! Thank you so much for your review and for your stay to our Apartment. Appartement conforme aux photos, tout y est en très bon état, propreté impeccable , les draps sentent bon et la literie est bonne. La salle de bain est de taille largement suffisante et les serviettes de toilettes sont fournies ( très grandes c'est top). Rien ne manque dans la cuisine . L'accueil de Paola a été parfait , très disponible et avant tout très très gentille. Merci de nous avoir permis de passer un agréable séjour à Rome. Merci pour votre belle critique, ce fut un plaisir de vous accueillir dans notre Maison de Vacances. Nous espérons vous accueillir à nouveau dans notre belle ville éternelle. Spacious apartment and within walking distance to the main attractions, restaurants and supermarket. Would indefinitely stay there again. Thank you for your nice review, it was a pleasure to welcome you in our Holiday Home. We hope to see you again in our beautiful Eternal City.